It’s hard to believe the little ones are back to school already. While we hope they will hit the books and study hard, we also know that all work and no play is… no fun! As students settle into the school year, moms and dads will soon find themselves signing up to help with seasonal class parties. It’s a lot of work to make sure a whole class of kiddos has a good time, and even more work if you end up being the one in charge of it all. But the task doesn’t have to be daunting, it should actually be fun. To help you throw the best class party ever, and not lose too much sleep in the process, here are 10 helpful tips. Run with the theme – Class parties tend to take place around the obvious seasonal themes. Since the kiddos are already excited about upcoming holidays, go crazy with themed food, decorations, activities, crafts, etc. Need inspiration? You need Pinterest – the party-planning mom’s secret weapon. Enlist help – So, you find yourself in charge of class parties. It’s time for some recruiting. Instead of trying to track everyone down with a paper signup sheet, use SignUpGenius. 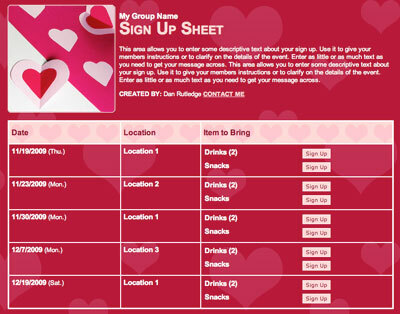 Make a list of everything needed and then allow parents to sign up to do their part. Automated reminders help ensure no one forgets. 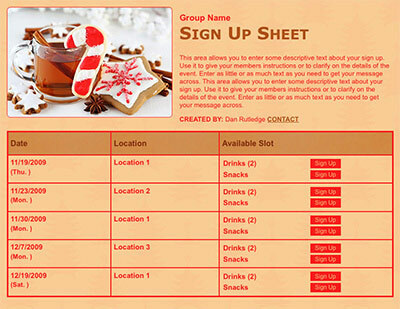 Coordinating Classroom Parties is easier than ever with SignUpGenius! Get Started! Use your resources – Why not ask the teacher what works and what doesn’t? She’s seen it all – the good and the bad. While that doesn’t mean you can’t do something new, knowing what has been a hit in the past may help point you in the right direction. And avoiding pitfalls will make you look like a hero. What to do – Have you ever been to a party where people just stood around and stared at each other – wasn’t very fun was it? Put some life into your party by planning some kid-friendly games and activities. Old classics like bobbing for apples and the limbo are classics for a reason. When all else fails, bring some tunes for an impromptu dance party. 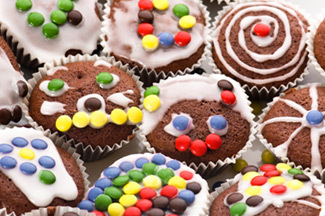 Plan a menu – Do not leave it up to the parents to decide what to bring for the party or you may find yourself buried in cupcakes and cookies. Just because it is a party doesn’t mean there can’t be carrot sticks and strawberries. With a SignUpGenius sign up list, you can request specific menu items to make sure you get everything needed and keep the sugar overload to a minimum. Click here for a sample sign up. Get crafty – Keep little party goers busy and having fun with a craft they can present to their proud parents after the party. For that extra special touch think holiday décor like paper plate pumpkin wall hangings, snowflake garlands or other festive projects. Treats – What’s a party without goodie bags?! (Not much if you ask the kids.) But don’t just fill a bag with trinkets and sweets, think of one special (useful) goodie such as a fun holiday hat or a sticker book for seasonal fun. Delegate, delegate, delegate – You can't facilitate the craft, serve the food, and prep the games at the same time. You are gonna need some help, and hopefully there are plenty of willing volunteers. But you need to be specific. Make sure you assign each parent a party task. Otherwise, you will end up running around wondering why everyone is standing around staring at you. Ask for a couple volunteers via your Classroom Party Sign Up! Need to collect $$ with a class sign up? No problem...take a look at our SignUpGenius Payments feature. K.I.S.S. – Keep It Simple Supermom, after all it is a class party. Make sure you have some fun too. Have a great school year and great class party! I love these ideas. I am a first time room mom as a grandma. (no one else wanted to do it). Thanks for making this web site. Holiday Classroom Party Themes Available!